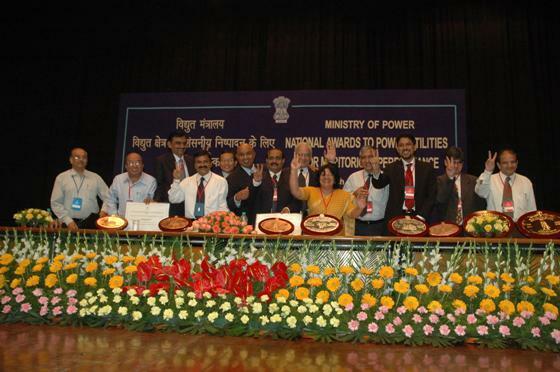 UGVCL is awarded Bronze Shield by Prime Minister on 21st March 2007 for EXCELLENT PERFORMANCE IN POWER DISTRIBUTION. In criteria as decided by Central Electricity Authority, UGVCL secured 74.51% marks for various parameters like losses reduction, revenue rise, continuity of power supply, transformer failure reduction, metering progress, etc. 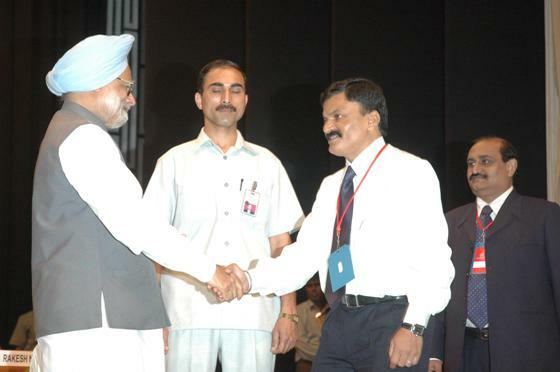 At the function organized at New Delhi, on 21st March, 2007, Dr. Manmohan Singh, Prime Minister awarded National Awards for Meritorious performance to companies of Gujarat viz. Gujarat Industries Power Company Limited (GIPCL), Uttar Gujarat Vij Company Limited (UGVCL) and Gujarat Energy Transmission Corporation Limited (GETCO). Smt. Vijaylaxmi Joshi, Principal Secretary, Energy & Petro-Chemicals Dept., Government of Gujarat and Key Officials of the above three companies L. Chuaungo, G. Mohapatra, H.S. Patel, P.H. Rana, D.G. Nayak and S.K. Negi received the National Awards. B. R. Joshi of UGVCL and Romi Bhatia of GETCO remained present. Seen in the above photo are G. Mohapatra, Chairman (middle) and H. S. Patel, Managing Director (right) of UGVCL accepting the award.